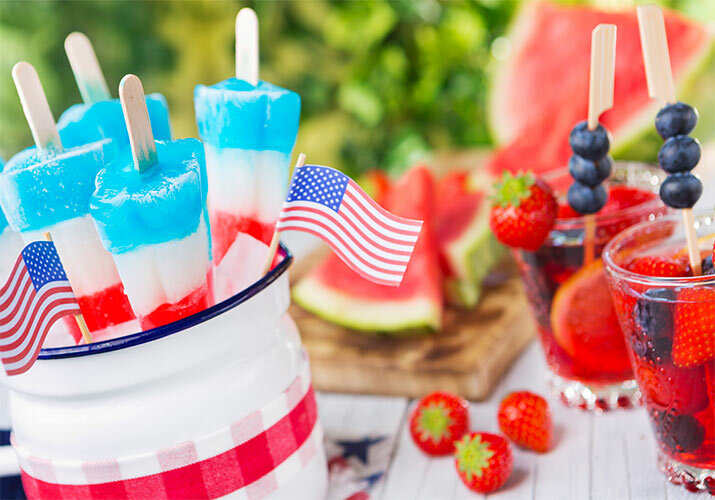 A few extra food precautions can help keep your Fourth of July holiday from turning red, white and ew. Be sure to wash all produce thoroughly before use. Thoroughly clean the outer surface of any fruits or vegetables before slicing and keep work surface and utensils clean and sanitized. Promptly refrigerate sliced melon, including cantaloupe and watermelon, at 41 degrees Fahrenheit or lower.